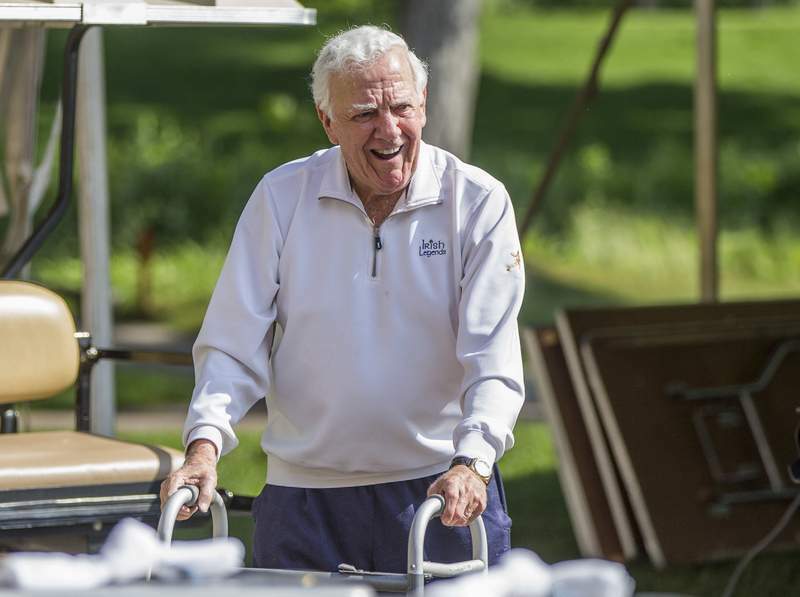 Hall of Fame coach Ara Parseghian has returned to his home in Granger, Indiana, after spending more than a week in a nursing care facility because of an infection in his surgically repaired hip. The 94-year-old former Notre Dame and Northwestern coach is still receiving 24-hour care, said Paul Flatley in an email to the AP on Thursday night. Flatley, a former NFL receiver, played for Parseghian at Northwestern from 1960 to 1962. Flatley has been communicating via email with Parseghian's wife, Katie, and sharing updates on her husband's condition with former teammates. Ara Parseghian returned home Wednesday after being treated with intravenous antibiotics at a South Bend facility. Parseghian coached Notre Dame for 11 seasons, winning national championships in 1966 and '73. He went 95-17-4 with the Fighting Irish. Parseghian began his head coaching at career at Miami University, his alma mater, in 1951. He spent five seasons at Miami and went 39-6-1. He then spent eight seasons at Northwestern, winning 36 games. After his coaching career, Parseghian spent more than a decade calling games as an analyst on ABC and CBS.